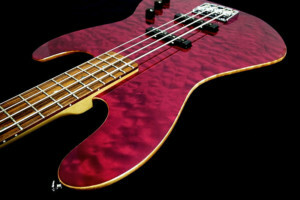 The Lipe Guitars Lupara bass is handmade in California by veteran luthier Mike Lipe. Based on his guitar models, the Lupara comes in 4- and 5-string versions with a choice of P/J, J/J, and humbucker pickup configurations. 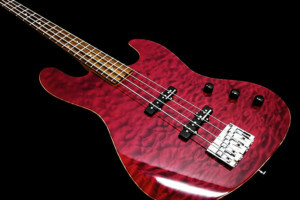 The bass comes standard with an alder body that’s contoured for comfort. Several choices for exotic tops are available including mango, quilted maple, spalted maple, koa, redwood, walnut, and curly maple. 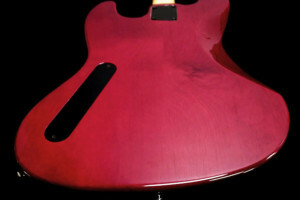 The neck is quartersawn hard rock maple with a choice of profiles and either an Indian Rosewood or Pao Ferro fretboard. 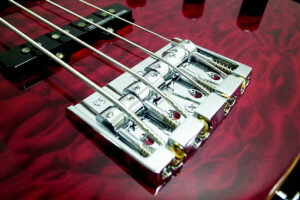 Its pickups are made by Amalfitano and are paired with passive electronics. Other features include Hipshot hardware, Dunlop strap buttons, and a Graph Tech nut. For more info, check out the Lipe Guitars website. These really are beautiful takes on the original Fender design. I count 20 frets, not 21. If you are going to copy Fender at least improve on one the worse of their short comings. 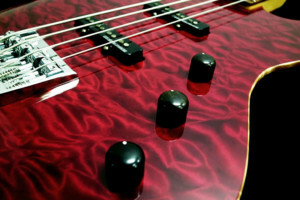 Modern bassists shouldn’t be afraid of the upper register. 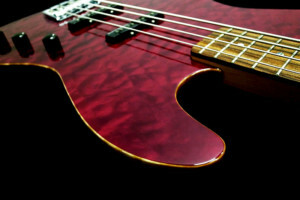 All modern basses should not have any less than 21 frets and preferably 22 or 24. The link to Lipe Guitars website does not work. These are custom basses made to order. Mike Lipe will make it any way you like with as many frets as you want. The two basses on th right belong to me and that’s the way I wanted them. He will make them bolt on or through body necks, active or passive, any scale, body style or whatever. So Ruben if you don’t like what you see, think of what you do like and you can get that. 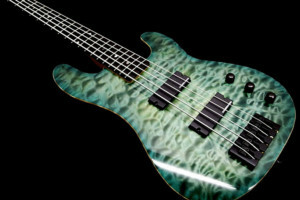 These bass guitars are really awesome! I’m looking forward to see more photos of your instruments to have an idea on what kind of guitar is really beautiful. 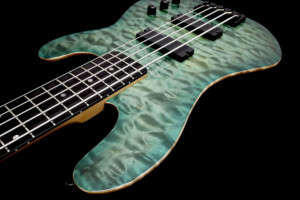 I’ve seen such guitars in http://www.stingraybassreviews.com but I would love to hear from you. Thanks in advance!